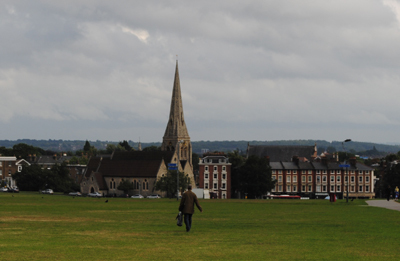 An overcast day on Blackheath, in the south-east of the city. All Saint’s Church is located in the centre of the picture. The Grade II-listed church, the parish church of Blackheath, was built between 1857-67 to the designs of architect Benjamin Ferrey.